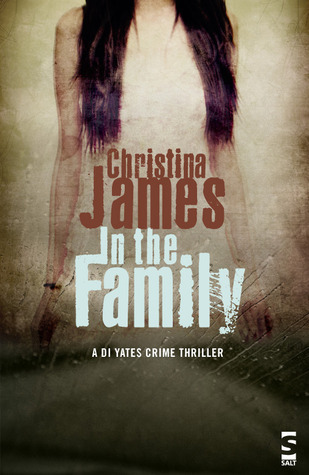 In the Family by Christina James is a book that I’ve been wanting to read for a while as its author is one of my twitter friends and a great supporter of this blog. I finally got around to buying the book this month and it was great to read a story set firmly in the detective fiction tradition but also with a slightly unusual setting. I’m a big fan of rural crime novels, not least because, as anyone who has ever lived in the countryside knows, there is a sinister side to any rustic idyll. In the Family exploits the Lincolnshire setting to full effect. Dorothy Atkins was convicted of the murder of her mother-in-law, Doris, over thirty years earlier. When the remains of a woman’s body is discovered by road workers, the case is reopened, led by Detective Inspector Tim Yates. Both Dorothy’s former husband Ronald and their son, Hedley, are unwilling to discuss the tragedy and the team are perplexed by the disappearance of Dorothy’s daughter Bryony Atkins. Meanwhile Hedley has a new man in his life, Peter Prance, whose motives for moving in with him are unclear. Is he simply an upper-class scrounger or is it something more sinister? The first thing you notice about the book is how well written it is. It has the feel of literary fiction; there is a calm and reflective quality to the prose which makes interesting reading. The narrative moves between the third person detailing the police investigation and Hedley’s first person, and clearly biased, observations. Both worked well. I slightly preferred the Hedley narrative, mainly because the set-up is clearly odd and it made entertaining reading. The police investigation is also well described and there is plenty of mileage in the character of DI Tim Yates and his slightly adoring assistant, Juliet Armstrong. The book is published by Salt, a small but discerning publisher and I think this book is an asset to its list. I hope book two in the series, which is out in June, is as good as this one. That sounds very good Sarah, and thank you for pointing out something that might otherwise be off the radar. Sarah – This does sound both interesting and very well-written. Those rural, family-based murders can be utterly absorbing, and I’m glad you enjoyed this one. Thanks Margot, and for the RT. I did find this book absorbing. Reading it now., to review later. 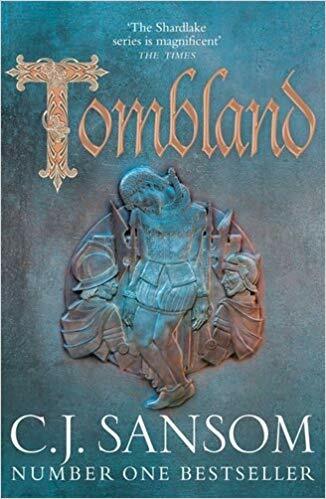 Agree with what you say.If you are after fast pacy noir, this is not your book. P D James or Colin Dexter come to mins. Yes exactly. A high quality, classic style, detective story. Thanks for stopping by and commenting. Based on your description, the book has elements I enjoy in novels… police procedural, emphasis on family relationships. I will put it on my list. As always, you have written an excellent review. Great news Tracy. I’ll look forward to the review. This books sounds very good, and not too scary for this reader. I’ll put it on the list and hope it gets over here fairly soon. Karin Fossum’s ‘Calling out for you’ aka ‘The Indian Bride’ gave me the same sensation. Small town families/secrets and the inherent claustrophobia there is a literary goldmine. In general fiction Richard Russo/Richard Ford mine this beautifully.